Over the past century, a significant amount of research focusing on the vocal development of adolescents has been contributed to the field of music education. Researchers have attempted to uncover the various stages of vocal development in both adolescent males and females; the results of these studies have served as foundational material for the teaching philosophies and methodologies that are used in general and choral music classrooms today. Although the research has shown that both adolescent males and females experience some type of vocal change, there is comparatively more literature devoted to the vocal development of young men. In addition to addressing the vocal needs of adolescent males, it is also quite possible that the emotional, psychological and developmental needs of these young men must be addressed if they are to be successful in rehearsals and remain in a singing program throughout their secondary school years. maintaining a healthy and productive rehearsal environment. Using the above categories as an organizational guide, the objective of this study is to offer research-based strategies and best practices that will assist the choral director in rehearsing male adolescent voices at the middle and high school levels. When preparing to teach choral music at the secondary level, the conductor must be equipped to help these singers manage their developing voices. Therefore, one of the first steps toward successfully working with adolescents in a choral rehearsal is for the teacher to obtain a thorough understanding of the changing voice.1 With respect to male adolescents, Henry Leck states that the teacher must “understand vocal production for the boy’s changing voice, what voice part to have them sing, and how to avoid problems and vocal strain.”2 Not only should the choral teacher be aware of the physical changes associated with adolescent male vocal development, but he or she should also understand the emotional dimensions associated with vocal change. Even though every adolescent boy’s physical and emotional development path will be unique, having knowledge of typical male adolescent behaviors may enable the choral director to plan and facilitate effective rehearsals. 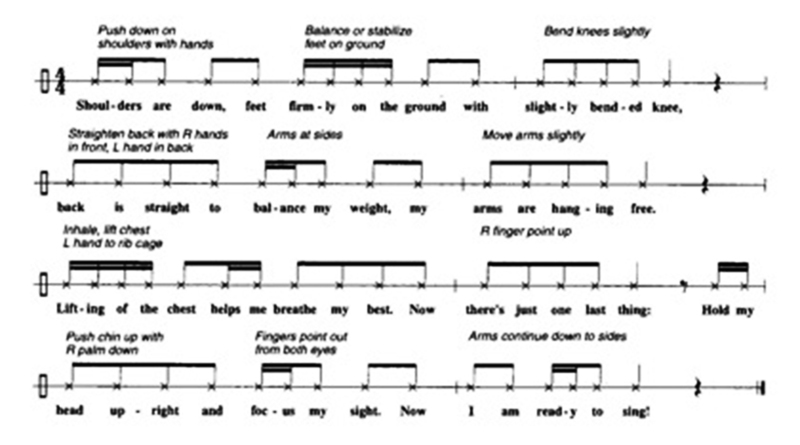 This author advocates a “row-by-row” assessment process within the context of the rehearsal. In this way, the choral director can frequently check for boys who are experiencing vocal difficulties and offer assistance (or a follow-up “voice check”) in a timely fashion. Proper assessment of the adolescent male singing voice begins with locating the approximate pitch of the boy’s speaking voice, which was found to be approximately 2 to 3 semitones above the lowest note in the singing range5. Terry Barham and Darolyne Nelson suggest having the boy say “hello” to you, followed by leading the boy from his speaking pitch (as scale degree 1) on “hello-o-o-o-o” using scale degrees do-do-re-mi-re-do6. As with most vocal exercises during the initial assessment process, it is important to guide the singer slowly and carefully, listening for any signs of vocal strain with each modulation. Using vocalises that employ a small range, such as a third, make it possible for boys with limited singing ranges to be successful. Figure 1. Rollo Dilworth, Jazz-Style Warm-up © 2012 by Hal Leonard Corporation. Reprinted by permission. Beyond the task of documenting the singer’s vocal range on a note card or audition form, Barham and Nelson, Conrad, and Freer all suggest posting changes in the singers’ vocal range in the classroom on a wall chart or bulletin board.13 By placing the progression of each boy’s vocal range on display, it is hoped that students will build camaraderie and develop a deeper understanding of how the voice change process varies among individuals. Discussions of whether the adolescent male singer should be placed in a single-gender or a mixed-gender rehearsal setting are ongoing. Even within a mixed-gender rehearsal setting, researchers have varying ideas about exactly where adolescent boys should be seated. Stage of vocal development is a major factor affecting seating preferences in both single-gender and mixed-gender rehearsal settings. In a 1960’s article, Robert Conrad stood strongly in favor of the mixed gender setting, offering the following rationale: “to further stimulate the interest of boys and girls in singing, it is best to work with mixed group rather than boy’s and girl’s glee clubs.”24 Beyond the philosophical preference for mixed-gender rehearsals, there can be scheduling issues that prevent boys and girls from having separate rehearsal periods during the school day. Given that it is not always possible to schedule single-gender rehearsals during the school day, choral directors might consider a separate “special” rehearsal for boys either before of after school. By organizing “special” rehearsals for adolescent male singers, this population can be afforded the opportunity to “be themselves” and sing in a safe, comfortable environment. When considering the placement of singers in a mixed-gender rehearsal, Freer suggests positioning boys to one side rather than in the middle of the choir.32 On the opposite end of the seating debate, Don Collins believes that middle level/junior high boys need constant attention and therefore should be placed in the front and center of choir with the girls seated both behind and to the sides of them.33 Cooper and Kuersteiner assert that adolescent male singers (both baritones and cambiatas) should be placed in the front rows of the choir formation while the girls sit in the back rows,34 and boys who experience pitch and vocal production problems should sit between stronger singers. boys are able to receive attention from the choral director by sitting in the front rows. Whether the discussion is focused upon single- versus mixed-gender rehearsals, or the exact position of the male singer within the rehearsal formation itself, the placement of the adolescent male singer will not only impact the rehearsal process itself, but it will also have some affect on the young man’s musical (and perhaps emotional and psychological) development. With the goal of full range exploration in mind (in conjunction with the concept of gently bringing the head voice down in the chest register), numerous pedagogues have developed vocal warm-ups for the adolescent male voice. Such examples include “so to do” descending exercises that begin somewhere between the A and C above middle C.
Through his research, Freer concludes that “the composite unison range of an adolescent vocal ensemble will be about a sixth, roughly from a G up to an E, with students singing in different octaves as appropriate.51 The implication here is that unison vocal warm-ups may not always be the most effective for adolescent singers if the goal is to explore the entire range. As an alternative to vocalises that are pitch-specific, Freer offers the following guidelines when constructing appropriate vocal warm-ups for adolescent singers: a.) develop vocalises that are not pitch specific; b.) derive vocalise material directly from the repertoire being prepared; and c.) construct improvisatory activities that teach vocal skills yet leave pitch choice to the students.52 An example is an exercise called “Scribble,”53 in which a randomly drawn wavy line (displaying “peaks” and “valleys”) is drawn on the board. 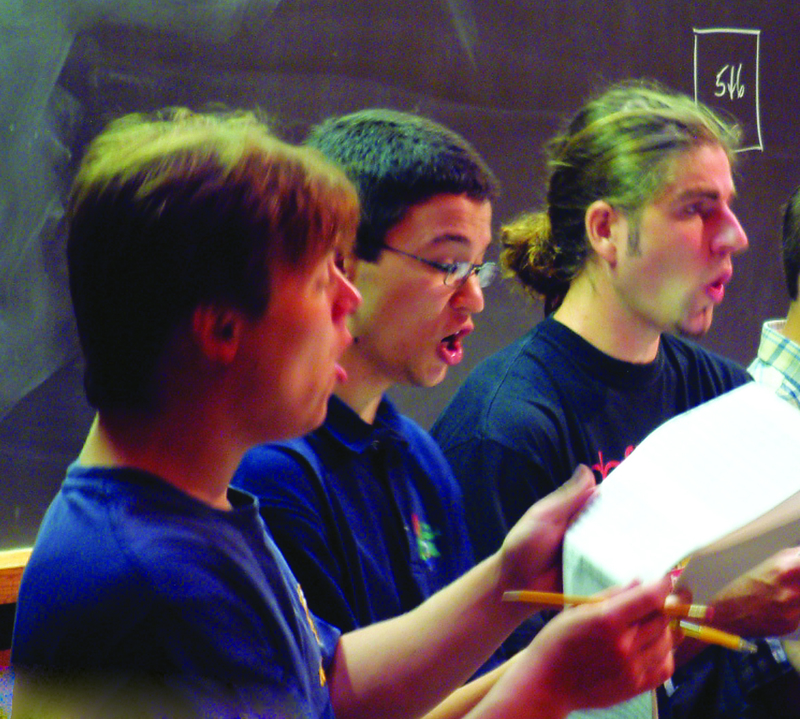 Students are directed to sing neutral syllables as the choral director (or another student) traces portions of the scribbled line with a pointer. 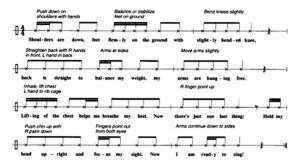 Using a warm-up activity like “Scribble” enables the students to comfortably explore their individual range without being locked into singing specific pitches. Given that many male adolescents may experience multiple shifts in singing range during the period of vocal change, and, given that some choral repertoire may not take into account these shifts, it may be necessary for the choral director to make some adjustments to the written pitches. Barham offers five types of solutions: transposition, swap parts, octave displacement, doubling parts, and writing a new part. Octave displacement. A simple solution is to have the boys drop the octave when the part gets too high. Barham believes that this procedure can be used for treble clef and bass clef singers.56 Based upon experience, this author cautions against excessive use of octave displacement for baritones and basses. In general octave displacement may be necessary for these voice parts when the written pitches fall above or below the staff. Baritones and basses should be encouraged to find their new voices where pitches lay on the staff; otherwise, they will continue to sing below the staff (where it may be easier) at the expense of developing and securing the upper portions of their singing range. Freer presents a host of physical activities that will enable middle school boys to develop healthy relaxation, alignment (posture), breathing, and vocal production habits. Objective: To maintain good standing posture. Directions: Chant the rap below, adding the suggested movement as desired. Rollo Dilworth, Posture Perfect!, from Choir Builders © 2006 by Hal Leonard Corporation. Reprinted by permission. Objective: To promote controlled, diaphragmatic breathing. Objective: To access head voice. Directions: Place the index and middle fingers of one hand in the palm of the other hand (to look like a person’s legs). The “person” should leap off of the bridge making a “siren” sound in high head voice. The vocal pitch should be sustained and change pitch according to the direction of the jumper. At some point, the bungee cord should snap the jumper back in an upward direction, back onto the platform (the palm of the other hand). Objective: To sing with energized and sustained breath support. Directions: Choristers are encouraged to use movement to simulate the motion of a sports activity while singing the exercise (below) on neutral syllables. The teacher (or a designated leader) can determine the specific syllable and sports activity as the pattern modulates. Singers should be directed to simultaneously inhale and prep their hands for the sporting activity during the rests. Singers must simulate the designated sport while singing the pattern, ensuring that the motions and voices are sustained until the end of the pattern is reached. Sample sports activities include: throwing a football, swinging a bat, bowling a ball, throwing a Frisbee, and shooting a basketball. Figure 3. Rollo Dilworth, Playing Sports © 2012 by Hal Leonard Corporation. Reprinted by permission. This study presents a survey of strategies that can be used in the choral classroom when working with adolescent male singers. In addition to presenting the reader with some of the more prominent research-based techniques that exist in the literature, the author has attempted to present some of his own rehearsal strategies that have been derived directly from and supported by the research findings. 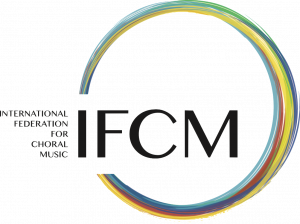 The hope is that choral directors who read this study will not only be encouraged to implement the various techniques that have been outlined in the preceding pages, but also be inspired to develop and explore strategies and activities that will be applicable to their specific circumstances. With the kind permission of Choral Journal, the journal of the ACDA. The article was first published in its April 2012 issue. 1 Anthony L. Barresi, “The Successful Middle School Choral Teacher,” Music Educators Journal 86, no. 4 (January 2000): 23-28. 2 Henry Leck and Flossie and Jordan, Creating Artistry Through Choral Excellence, (Milwaukee: Hal Leonard Corporation, 2009). 3 David Friddle, “Changing Bodies, Changing Voices: A Brief Survey of the Literature and Methods of Working with Adolescent Changing Voices,” Choral Journal, 46, 6 (December 2005): 32-43; 46-47. 4 Michael Kemp, The Choral Challenge: Practical Paths to Solving Problems, Chicago: GIA Publications, 2009). 5 Janice Killian, “A Description of Vocal Maturation among Fifth- and Sixth-Grade Boys,” Journal of Research in Music Education 47, no. 4 (Winter 1999): 357- 369. 6 Terry J. Barham and Darolyne L. Nelson, The Boy’s Changing Voice: New Solutions for Today’s Choral Teacher, (Van Nuys, CA: Alfred Publishing Co, Inc., 1991). 7 Jonathan Reed, “The Vocally Proficient Choir: Working With Male Voices,” in The School Choral Program: Philosophy, Planning, Organizing, and Teaching, Michele Holt and James Jordan, 241-252. (Chicago: GIA Publications, 2008). 8 Terry J. Barham, Strategies for Teaching Junior High & Middle School Male Singers: Master Teachers Speak, (Santa Barbara: Santa Barbara Music Publishing, 2001). 11 John M. Cooksey, Working with Adolescent Voices, (St. Louis: Concordia Publishing House, 1999). 12 Roger Emerson (arranger), Pop Warm-ups & Work-outs for Guys, (Milwaukee: Hal Leonard Corporation, 2009). 13 Terry J. Barham and Darolyne L. Nelson; Robert M. Conrad, “Developing the Boy’s Changing Voice,” Music Educators Journal 50, no. 5 (April-May 1964): 68, 70; Patrick K. Freer, Getting Started with Middle School Chorus, 2nd edition, (Lanham: Rowan & Littlefield Education, 2009). 14 Irvin Cooper and Karl O. Kuersteiner, Teaching Junior High School Music, (Boston: Allyn and Bacon, 1965); Frederick Swanson, The Male Singing Voice Ages Eight to Eighteen, Cedar Rapids, IA: Ingram, 1977). 15 Barham and Nelson, “The Boy’s Changing Voice,” 7; Sally Herman, Building A Pyramid of Musicianship, (San Diego: Curtis Music Press, 1988). 16 Duncan McKenzie, Training the Boy’s Changing Voice, (New Brunswick, NJ: Rutgers University Press, 1956); Kenneth Phillips, Teaching Kids to Sing, (Belmont, CA: Schirmer, 1996). 17 Barham, “Strategies for Teaching Junior High and Middle School Singers,” 19. 19 Paul F. Roe, Choral Music Education, 2nd ed, (Englewood Cliffs, NJ: Prentice Hall, Inc., 1983). 23 Barham, “Strategies for Teaching Junior High and Middle School Singers,” 20. 25 Madeline D. Ingram and William C. Rice, Vocal Technique for Children and Youth, (New York: Abingdon Press, 1962). 26 Walter Lamble, A Handbook for Beginning Choral Educators, (Bloomington, IN: Indiana University Press, 2004). 28 Christopher D. White and Dona K. White, “Training for Changing Male Voices,” Music Educators Journal 87, no. 6 (May 2001): 39-43, 53. 30 Frederick J. Swanson, “When Voices Change: An Experiment in Junior High Music,” Music Educators Journal 46, no. 4 (February-March 1960): 50, 53-54, 56. 32 Patrick K. Freer, “Between Research and Practice: How Choral Music Loses Boys in the ‘Middle,’” Music Educators Journal 94, no. 2 (November 2007): 28-34. 33 Don L. Collins, Teaching Choral Music, (Englewood Cliffs, NJ: Prentice-Hall, 1993). 34 Cooper and Kuersteiner, 57. 37 Swanson, “When Voices Change,” 53. 38 Patrick K. Freer, Success for Adolescent Singers: Unlocking the Potential in Middle School Choirs, DVD series. Edited by Piero Bonamico. (Waitsfield, VT: Choral Excellence, 2005). 40 Cooksey, Phillips, Leck, Ingram and Rice. 41 Barham, “Strategies for Teaching Junior High and Middle School Singers,” 36; Jerry Blackstone, Working With Male Voices: Developing Vocal Techniques in The Choral Rehearsal, DVD. (Santa Barbara: Santa Barbara Music Publishing, 1998). 42 Shirley W. McRae, Directing the Children’s Choir: A Comprehensive Resource, (New York: Schirmer Books, 1991); Cooksey. 43 Mary Copland Kennedy, “’It’s a Metamorphosis:’ Guiding the Voice Change at the American Boychoir School,” Journal of Research in Music Education 52, 3 (Autumn 2004): 264-280. 44 White and White, 42; Leck, 193. 51 Patrick K. Freer, “Choral Warm-Ups for Changing Adolescent Voices,” Music Educators Journal 95, no. 77 (March 2009): 57-62. 53 Freer, Success for Adolescent Singers. 54 Herbert Wiseman, The Singing Class, (New York: Pergamon Press, 1967). 56 Barham, “Strategies for Teaching Junior High and Middle School Singers,” 74. 58 Blacksone, Working With Male Voices. 63 Swanson, “When Voices Change, 53. 64 Freer, Success for Adolescent Singers. 65 Patrick K. Freer, “Weightlifting, Singing and Adolescent Boys,” Choral Journal 52, 4 (November 2011): 32-41. 67 Robert Shewan, Voice Training for the High School Chorus, (West Nyack, NY: Parker Publishing Company, Inc., 1973). 68 Blackstone, Working With Male Voices; Henry Leck, The Boy’s Expanding Voice: Take the High Road, DVD. (Milwaukee: Hal Leonard Publishing, 2001). 69 Freer, “Between Research and Practice,” 34. 70 Barham, “Strategies for Teaching Junior High and Middle School Singers,” 33. 71 Leck, “Creating Artistry,” 191. 72 Patrick K. Freer, “Adapt, Build, and Challenge: Three Keys to Effective Choral Rehearsals for Young Adolescents, Choral Journal 47, no. 5 (November 2006): 48-55. 74 Barresi, 24; Hook, 24. 75 Barham and Nelson, 18. 76 Barham and Nelson, 20; Hook, 24; Leck, 190. 77 White and White, 42. 80 McRae, 152; Roe, 176. 81 Blackstone, Working With Male Voices. 83 Freer, “Adapt, Build, and Challenge,” 51.